Mahindra & Mahindra out of its home market is nothing but an unknown manufacturer, or the manufacturer of out-dated/odd-looking SUVs. But recently, it seems to have grabbed people’s attention by showing the Komodo Concept. Komodo Concept is nothing but a design study created by Indian designer and IED Torino graduate, Makrand Patil. Patil described this design study in his own way. "What I present is an SUV built for the Indian Market. The user could be anyone from a young to a mid-age individual who is in his own business or could just be a son, a family guy to a sport enthusiast. The built of the car is big, strong, rugged and luxurious at the same time. Perfect for the Indian terrain. The vehicle can be used anywhere form silky smooth highways to steep gradients, big drops and deep water. 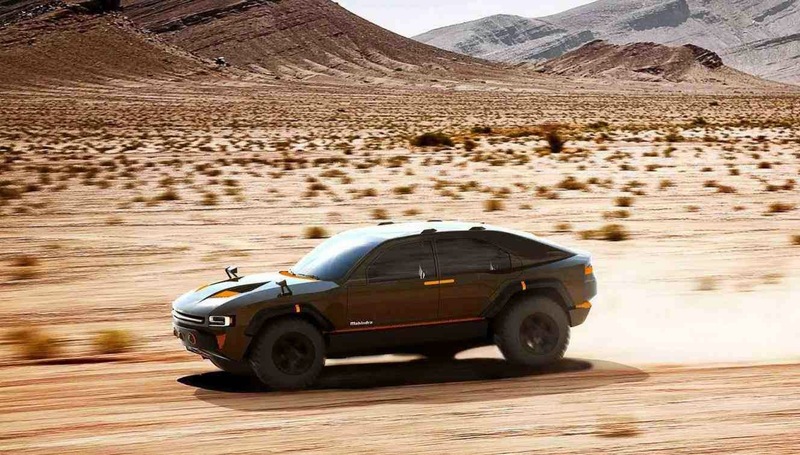 Focusing more on its off-roading abilities, a true 4x4 vehicle that a whole family can enjoy. This SUV has been designed considering most of the brand attributes of Mahindra. The brand sets a benchmark of Capability, Authenticity in design and function. It specializes in Durability and Reliability for the Indian market having a justified evolution. My dream was to combine the authentic Mahindra DNA with its more evolved ones and make the Ultimate Mahindra. The Mahindra KOMODO." Patil has named the SUV as Komoda after the great Komodo dragons which are known for their aggression and fierceness. 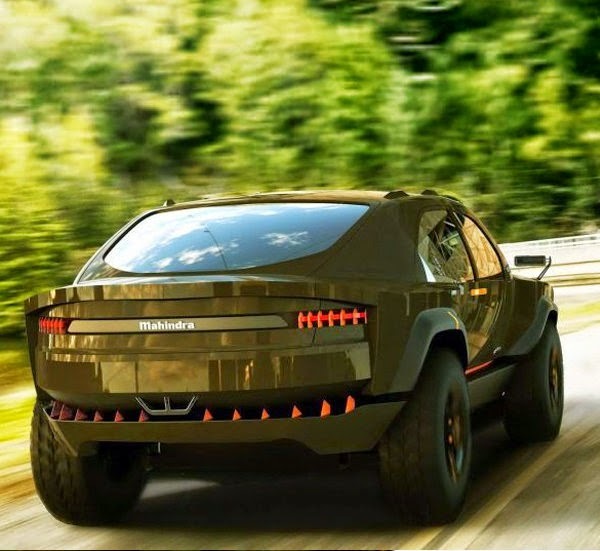 The Komodo Concept SUV is signified to be a very rough and tough, ferocious SUV that can handle any sort of rough and unpredictable terrain with ease. Patil said that his design, Komodo is a perfect Indian vehicle and has been conceptualised keeping in mind the tough driving conditions of India. He added that since the SUV is made to handle toughest of the road conditions with ease, it will make a perfect SUV if made into a production. Komodo will be a perfect choice for the Indian roads, as the roads here are badly maintained. The Komodo concept has been designed to be a highly luxurious SUV and thus, the interior could have various world-class features which will enhance the comfort and driving. Also, the interior is expected to be draped in leather. The Komodo Concept design will be cherished by both, young as well as old SUV buyers in India, as the design is very mature and appealing. As per the designer, the Komodo is designed to be used as a multipurpose vehicle. It can very conveniently used as a family vehicle with its spacious and comfortable interiors and a champion off-road vehicle that can beat the dust on any road. 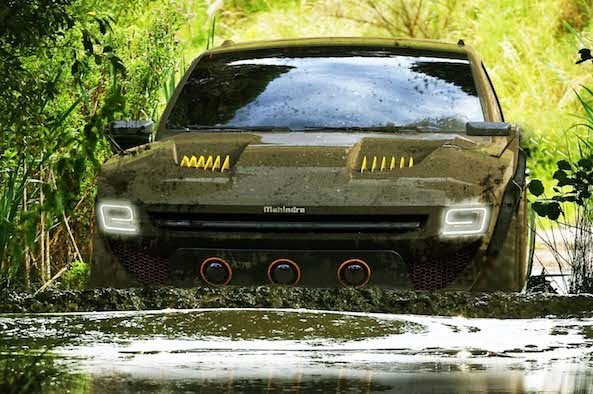 The Komodo design represents a veritable, tough quality SUV and if this design is made into a production, then there’s no one to stop this SUV to challenge the other SUVs in the market. The Komodo can take Mahindra & Mahindra to a new level.